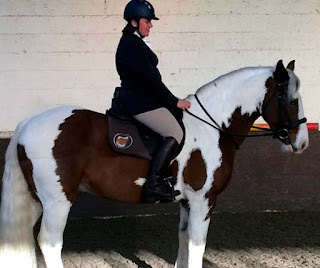 Solution Saddles Customer Stories: Sarah Parker found her SMART GP saddle transformed both herself and her horse, Sydney. Sarah Parker found her SMART GP saddle transformed both herself and her horse, Sydney. 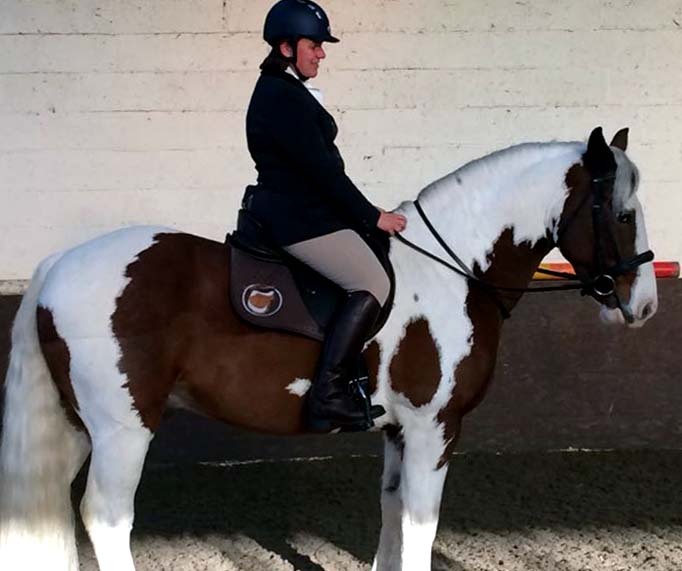 “Sydney has been totally transformed since using his SMART GP saddle. He has flexibility and movement that we didn't know he had. He is now relaxed and calm under saddle whilst showing so much freedom in his movement - without tension. He used to work well one day and be like a goldfish the next session; forgetting any progress. He would return to being tense and hollow, which I now believe was through discomfort. Since using the SMART GP saddle, he is advancing his education every session and making huge steps forward. He has just come second in a class of 15 at his first dressage competition with over 67%. This would never have been achieved in his previous saddle. Everyone has been so impressed with the SMART GP saddle and can see how much it has benefited Sydney. My McTimoney practitioner was amazed at the difference in him and very positive about his new saddle. His muscle tone has now evened out, plus he has none of the previous tight and tension spots. For me; well, I can now ride and not have sciatica pain, which is a huge result! The SMART GP saddle was a big investment but worth every single penny to have a happy comfortable horse and for me to be able to ride without pain.